Here's our collection of fun and easy kidney beans recipes. All the kidney beans recipes have step-by-step instructions. We hope you love them as much as we do! It is vegan week at the Tortilla Channel and today I am sharing a great chili recipe. With the lentils, beans and spices this may well be the best vegan chili you ever tasted. If you have a slow cooker you can use it for this recipe. If you haven’t no worries you can use the oven as you slow cooker and get the same result. 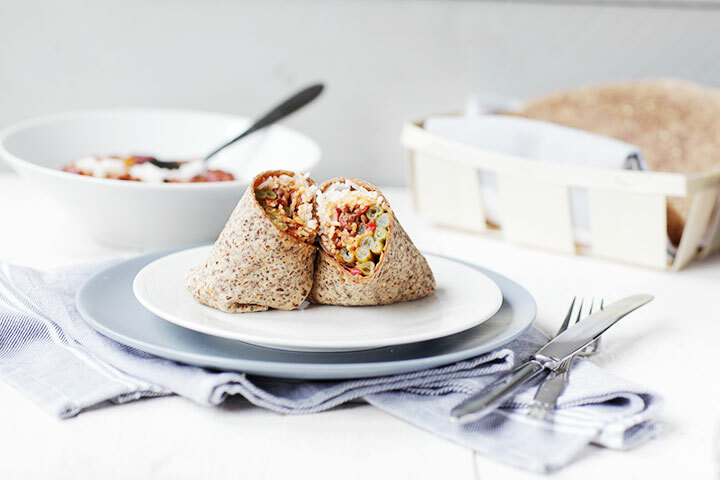 A spicy chili stew with a bite wrapped in a delicious chia tortilla wrap from Body & Fit shop. So are you ready to learn how you can make this vegan lentil Chili stew burrito? Lets get started!